Learn how to create a crisis management plan for your business. 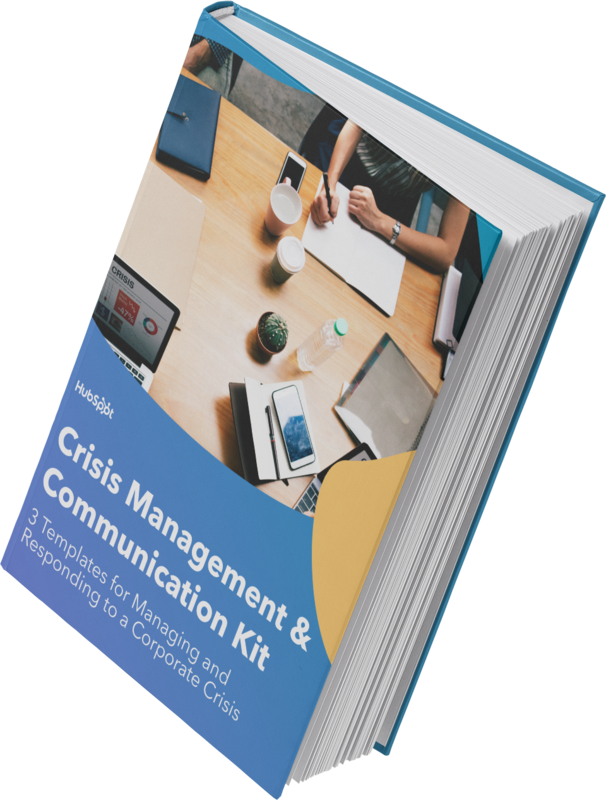 Manage, plan for, and communicate during your corporate crises with these crisis management plan templates. What do you think of when you hear the term “crisis”? My mind immediately goes to a natural disaster — such as a tsunami or earthquake — that brings devastation and destruction to an area. But there are many other types of crises too, which result from various events and circumstances, such as existential crises, man-made disaster crises, and business crises. The latter is what we’re going to cover in this article. Within the category of business crises specifically, there are a number of different situations with the potential to cause great damage to your company no matter your industry, size, or resources. All businesses are susceptible to these crises which is why it’s critical to be prepared for anything that may come your way to avoid what could be a corporate downfall. You can prepare your business for the possibility of one of these unplanned events by implementing a crisis management plan, understanding the stages of a crisis, and ensuring you have the right people by your side to help you manage and work through a crisis. We’ll cover all of that information in this guide — but first, let’s start by reviewing the definition of a business crisis. Why Should You Create a Crisis Management Plan? A business crisis is an event that has the potential to threaten the success and health of a company by tarnishing its reputation, damaging its business operations, negatively impacting its finances, or harming its employees. A business crisis can be caused by something internally or externally. Due to the severity of a business crisis, it’s important to be prepared to manage one of these events with a plan you (and your team) create prior to one actually occurring. A crisis management plan is a process, or series of steps, a business follows to deal with an unexpected, emergency situation, or crisis. It should be completed prior to a crisis happening so the business is prepared to use it to combat and rectify the events that have unfolded. If your business goes through a crisis of any kind and isn’t equipped with a management plan detailing the ways in which you’ll handle the situation, it’s likely you’ll experience serious and long-lasting consequences. These consequences might be related to various legal, operational, and public relations issues. Depending on the extent of the damage, a crisis situation could even put you out of business. To put it simply, all businesses should have a crisis management plan in place to be prepared for any unplanned event and prevent long-term damage from happening as a result. There are four other main reasons why you should ensure your business has a crisis management plan. … help you maintain your great reputation with customers, competitors, and industry leaders during and after a crisis. … improve the safety, health, and well-being of everyone who works for and does business with your company. … give you peace of mind as an employer and company — you’ll be ready for any situation that comes your way. …. increase productivity during and after a crisis. Everyone will know their role and function throughout a crisis so there’s less downtime, more action, and quicker resolution. Identify all possible types of crises. Determine the impact of each type of crisis on your business. Consider the actions you’d need to take to resolve each type of crisis. Decide who will be involved in the actions you need to take in each scenario. Develop resolution plans for each type of crisis. Train everyone who needs to be familiar with your plans. Revisit and update your plans regularly and when necessary. 1. Identify all possible types of crises. The first thing you’ll want to do when creating a crisis management plan for your business is to identify all possible types of crises that could happen to your specific business. To help you do this, consider the different categories of crises which businesses are most susceptible to experiencing. Financial crisis: This happens when a business experiences a drop in demand for whatever it is they sell — whether it’s a product or service. They lose value in those assets and can’t afford to pay off their debt. Personnel crisis: This is when an employee or someone else associated with a business is involved in activity or conduct that’s considered unethical and/ or illegal. This misconduct may occur in or out of the workplace and can be related to the work life or personal life of the individual involved. Organizational crisis: This is when a business has wronged their customers by taking actions that negatively impact their customers. Examples may include keeping important information from customers who deserve to know the details about a specific topic or exploiting customers. Technological crisis: This is when servers go down, software crashes, or another technological system stops functioning properly. It might cause a business to lose large amounts of revenue, make customers question their reliability, or tarnish their reputation. Natural crisis: Hurricanes, tornados, floods, and winter storms are all examples of natural crises that have the power to damage or completely ruin a business’ office space (or any area owned or used by a business). Depending on a company’s location, they might be more prone to various natural disasters occurring throughout the year. 2. Determine the impact of each type of crisis on your business. By quantifying the impact each crisis could have on your business, you’ll be able to understand each possible angle of a threat or catastrophe and, therefore, prepare for it appropriately. This type of review will lead you to determine the appropriate actions you and your fellow employees need to take to resolve each event. 3. Consider the actions you’d need to take to resolve each type of crisis. Responsive crisis management: This is when a business has a previously prepared response to a specific type of crisis situation that they can roll out at any point in time. You can use Situational Crisis Communication Theory (SCCT) to help you develop this response strategy so your business is ready to handle any unforeseen event. For example, a business might have specific steps in place for how they would manage an organizational or financial crisis in a timely manner. These plans might also detail the process in which they would inform employees about the event and deal with key stakeholders. Proactive crisis management: This is when a business anticipates a specific type of crisis occurring and proactively prepares for it. An example of this would be related to the potential of a natural crisis — a business located in Key West, FL might ensure the office space is built to handle hurricanes and severe storms. Recovery crisis management: This is when a business manages a crisis that blindsided them because it happened out of the blue. An example of this is a technological crisis. 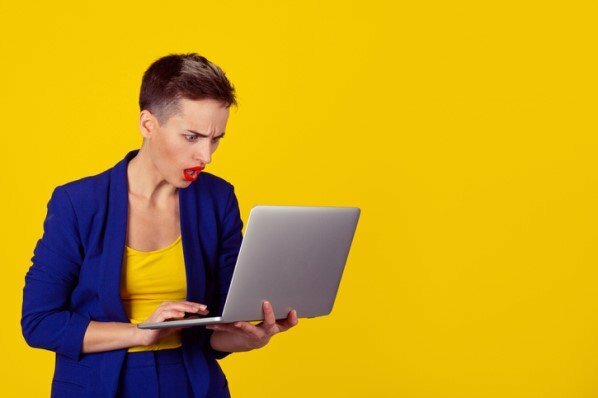 If a business’ software is working perfectly one moment and unexpectedly crashes another, it impacts employees in addition to customers who use the software. As you identify all crises your business is susceptible to, you may also decide to develop a business continuity plan at this point in time. This will help you identify all potential aspects of these crises on a very detailed level as you work through the rest of your crisis management plan steps. 4. Decide who will be involved in the actions you need to take in each scenario. Once you’ve considered the impact of each type of crisis and the actions you’ll take to resolve them, it’s time to think about who will carry out the necessary resolution plans and actions. This might include specific employees with expertise in different areas of your business, HR, public relations, and anyone else you see fit based on your specific situation. Depending on the type of crisis, you might also determine you need the assistance of lawyers, consultants, or first responders. 5. Develop resolution plans for each type of crisis. How long will it likely take to resolve the crisis? How many people, and which people, did you determine will be involved? Will you need to address your customers directly? 6. Train everyone who needs to be familiar with your plans. Everyone involved in your crisis management plans should be trained on the role they’re expected to play. You might choose to do this through meetings and presentations, or bring in experts to chat with your employees about how to manage their job functions during a crisis. All other employees who may not play a role in resolving a given crisis situation — yet will still be impacted by its occurrence — should be informed of the actions they’re expected to take as well. For example, if you are situated in a location prone to natural disasters, training everyone at your company on safety-related actions to take, such as where to take shelter, is critical. The last thing you’d want is for one of your employees to be hurt in a crisis due to lack of preparation and training. 7. Revisit and update your plans regularly and when necessary. As your company grows, you might increase your number of employees, open offices in new cities (or countries), or change the structure of your business operations. These are all examples of times in which you’ll want to revisit and update your crisis management plans to ensure they still apply and work for your company. If you do go through a crisis, be sure to analyze the results of your management plans to determine whether or not they were successful in pulling your company through — you might decide they need to be updated or reworked completely. Along with the creation of your crisis management plan, it’s important to understand and be aware of the different stages of a crisis. These stages occur during a crisis and can help you determine how you should respond to the situation at different points in time. Although you cannot always predict the timing or occurrence of a crisis, there are often signs you can look for that serve as a warning. These warning signs can be related to a wide range of factors such as an employee’s behavior, weather patterns, or company finances. The risk assessment stage begins immediately after a crisis starts to unfold. It’s when the key players at your company begin assessing the impact the situation might have on your business, employees, and customers. During this stage, the potential ramifications of the crisis, plausible damages, and resulting problems are discussed. This way, everyone involved is prepared for the worst possible scenario. Once you review the level of risk associated with the crisis, you and your team will be able to decide which crisis management plan you want to implement. Then, everyone involved — including your employees, customers, and emergency response teams (if necessary) — can be notified of the situation. The response stage involves a lot of communication to both inform everyone of the crisis and kickstart the various actions that will be taken to manage and mitigate the incident. Next comes the management phase. This is when everyone involved in rectifying the crisis comes forward to work on managing the chosen resolution plan, the immediate effects of the event, and any new or worsening effects that arise. This stage involves the same type of open communication that you used in the response phase to ensure all employees, customers, and stakeholders are up to speed on the state of the business. During this phase, everyone involved in the resolution of the crisis should have fulfilled (or nearly fulfilled) their given duties. The crisis should be pretty much under control at this point. It’s also when all of the necessary plans and actions that will be used to return your business to normalcy are initiated. As you leave the resolution phase and move into recovery, your resolution plans are well underway and your business is getting back on track. This stage includes getting all employees back into their day-to-day operations and ensuring customers are set up for success with your products once again. It’s very important to analyze the results of your crisis management plan during the recovery phase as well. This way you can determine how you feel the situation was managed and how you plan to avoid another similar situation from happening in the future. To help you work through your crisis management plan as well as the stages of a crisis, you might determine that hiring or working with a crisis management team is the best option for your company. Crisis management teams are created to protect your business from the adverse effects of any crisis situation or event. They also help keep your business and employees prepared for any threats that could potentially come your way. Detecting warning signs that signal a crisis is coming. Working with employees to prepare for and handle the implementation of a crisis management plan. Ensuring the reputation of your company remains positive throughout (and after) any crisis event. Helping your business prepare for any future crisis situations. There are three types of crisis management teams your company might hire for to help you manage a situation. These teams include regional emergency management teams, site emergency response teams, and business support teams. Regional emergency management teams support local needs throughout a crisis situation. Depending on the size of your business and your various office locations (if you have them), this team will manage the region-specific effects of a crisis. This type of team is typically made up of people who live and work in the area already. Site emergency response teams go directly to the scene of a crisis when called upon (if they’re not already there when the situation unfolds). The people on this type of team include on-site employees, first responders, and local officials. Business support teams manage the impact a crisis has on a business as a whole. It’s a team often comprised of employees who ensure all management plans are fulfilled to resolve the crisis. Business support teams might include employees from a number of different locations and/ or offices. Now that we’ve reviewed the crisis management teams you may be creating or working with, let’s do the same for some of the common job positions and titles within the field. When looking to hire a crisis management team or search for experts to consult regarding your crisis management plan, there are a number of positions and job titles you’ll come across along the way. We’ve compiled a list of these roles to give you a better understanding of how they fit into your crisis management plan. It’s important to note these job titles and descriptions might vary based on company and industry. A crisis manager leads and approves of the creation and implementation of a crisis management plan. They’re also in charge of ensuring the plan is carried out accordingly during a crisis. A crisis management advisor typically works directly beneath a crisis manager and assists with anything they might need. This includes supporting their management efforts and ensuring they have all of the resources and tools needed to fulfill their job. Emergency management directors work directly with law enforcement in a crisis situation that calls for the assistance or support of first responders and any other emergency officials. During a crisis situation, having a public relations specialist (or team of PR specialists) to help you handle all contact with your employees, customers, competitors, social media followers, as well as the press is crucial. Your PR team will help you manage your reputation and appearance across all modes of communication during and after a crisis. A human resources advisor is helpful to have in any type of crisis situation to ensure you have a current and updated database of all of your contacts, employees, advisors, and responders. Depending on your company type, industry, resources, and the crises you determine you could find yourself in, you might determine you need the support of a legal advisor. This person will be able to ensure you do everything legally when resolving a crisis and follow all necessary steps to ensure there are no other issues that surface along the way. You might also determine you want the assistance of a subject matter expert with knowledge related to medical, health, safety, security, or environmental scenarios. 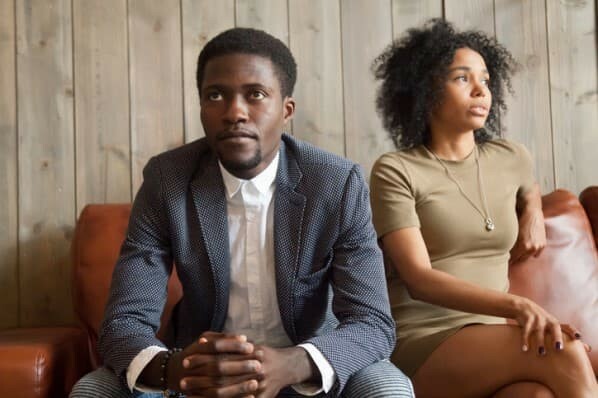 Similar to that of a legal advisor, you’ll be able to get the advice you need to manage a crisis (and it’s aftermath) appropriately with the assistance of one of these advisors. 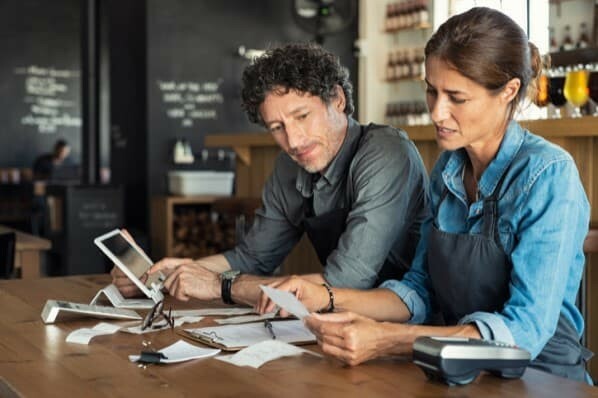 Ensuring your business is prepared for any number of possible crises will allow you to maintain a positive and professional reputation with your customers and competitors as well as your employees. By developing a crisis management plan, considering the possible stages of a crisis, and creating a team of people to help you through any unforeseen event or catastrophe, you’ll prevent your company from long-lasting, negative repercussions. Begin working on your management plan and establishing connections with the people you’ll need assistance from along the way to prepare your business for any type of crisis.